The Museum of Anthropology (“MOA”) at UBC quickly became one of my favourite places in Metro Vancouver after school field trip visits when I was younger. The history and artwork, the in-depth look at Northwest Coast culture, and the various galleries make the MOA an enchanting place for a visitor of any age. 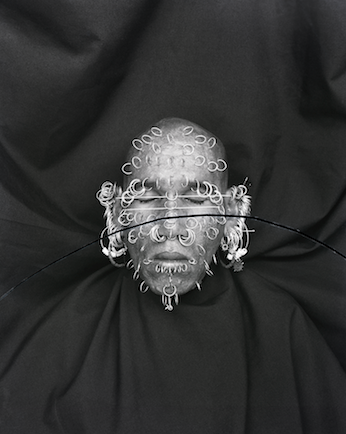 Without Masks: Contemporary Afro-Cuban Art opens at the Museum of Anthropology on May 2nd. Originally launched in Johannesburg in 2010, this is the first time this collection has been seen in North America. The largest and most diverse exhibition of Afro Cuban art ever to be staged in the world, Without Masks includes artworks from 31 Cuban contemporary artists spanning from 1980 to 2009. Two great themes are explored in this exhibition: the cultural and religious traditions of Africa in Cuba and related racial themes and issues from around the Atlantic. The vast media represented in this collection include painting on canvas and wood, watercolour, drawing, printing (xylography, silk-screen, collography), collage, patchwork, installation, soft-sculpture, photography, video-installation and video art, creating a powerful exhibition that comments and reflects upon the multiple imprints of Africa in Cuba’s culture. I will draw one winner at random from all entries at 12:00pm on Tuesday, April 22, 2014. Follow the Museum of Anthropology on Twitter and Facebook for more information about this exhibit and other happenings at the museum. The MOA galleries and shop (at 6393 NW Marine Drive at UBC) are open daily from 10:00am to 5:00pm and until 9:00pm on Tuesdays. Update The winner is Cj! Wonderful cultural and arts programs offered at MoA. It was one of my first museum visits when I relocated to Vancouver and continues to be one of my favourites too. fun! Sounds like a cool experience! I went to school at UBC, use to always visit the MOA. I highly recommend the MOA; it is amazing! Haven’t been there in ages so it would be great to get these passes! I’ve been wanting to visit the MOA for a while, this would be perfect! I haven’t had the opportunity to visit the MOA for a long time! This exhibit sounds lovely… would be great to see it. It’s been years since I’ve been to the MOA and it would be great to return for this exhibit. Ah I haven’t been there in ages. Would love to see this collection. Haven’t been back since field trips when I was in elementary school. Would be a good time to return and see the unique exhibit! I haven’t made it out to this museum yet, this would be perfect for a rainy day! I moved here recently, and have not made it there yet. Would love to go!! Love to see the exhibit!